← Touchscreen text input to be revolutionized? Swype it! The app store economy: an innovative price model for publishers? News behind a pay wall? Newspaper publishers suffer for years now. 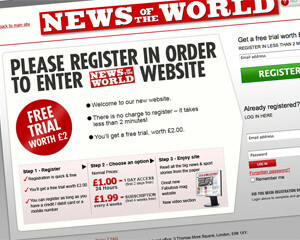 The number of readers is going down – and as a result advertisers are less interested to put an advert in a newspaper. With the rise of the app store economy, publishers have the chance to come closer to a price model that works. Strategy 1: news behind a pay wall? Since there are loads of buzz within the publishing industry about publishing for the iPad, why not have a look at the opportunities of the app store economy? In the beginning of the Apple App Store, you had free apps and paid apps. After a while, they added a functionality called “in-app purchases”. 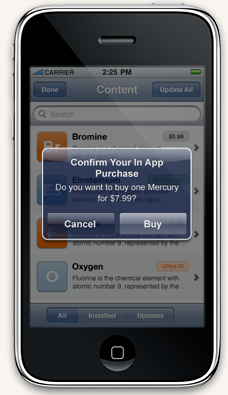 In-app purchases mean that you can offer the apps for free and charge upgrades in the app – like e.g. in the gaming industry new levels. Consider this: a newspaper publisher creates an iPad edition. Would it make sense to offer the app for free, allowing everyone to read the entire newspaper on iPad? Would it make sense to limit the free articles to 3 and then offer “in-app purchase options” if one wants to read more? Would it make sense to show a summary of all articles and offer “in-app purchase options” to get the entire article? We’d love to see publishers experiment with it and see whether the strategy from one industry can be applied to another one. 4 Responses to The app store economy: an innovative price model for publishers? Hi FlowerGuy, thanks for the encouraging comments.